Sometimes a product is so awesome I jump in the air and high five the invisible Vegan gods. 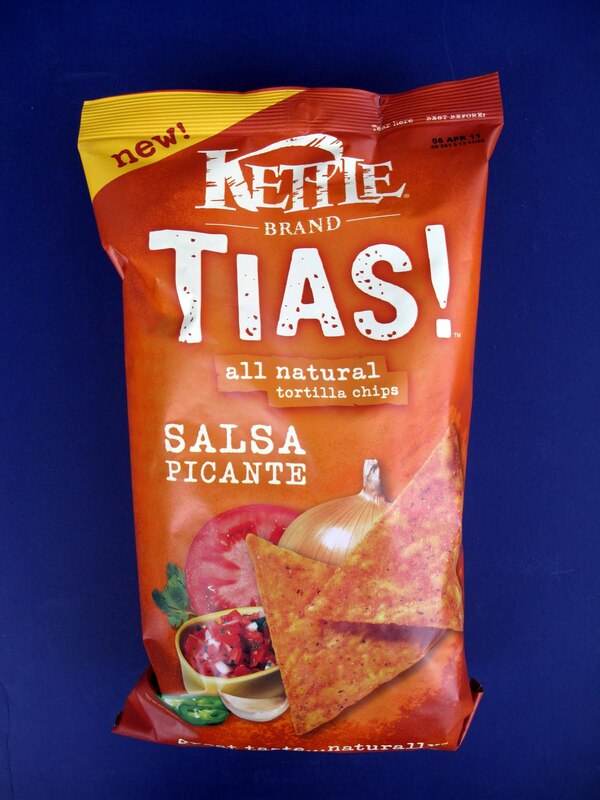 This bag of Kettle Tias! Salsa Picante Chips is such an example. I noticed the colorful bag in the chip aisle and just assumed they weren't Vegan. To my delightful surprise they were animal product free! When I got home I had to know how good these things were. I mean, are they Doritoish? Do they have any flavor? Did I waste my money? Well Kettle hasn't failed me yet so I opened the bag optimistically. From the first bite I knew these were the chips I was waiting for. The cheesy spiciness hit me and sent me back to my 4th grade lunch room. These are the closest to Vegan Doritos without a doubt. 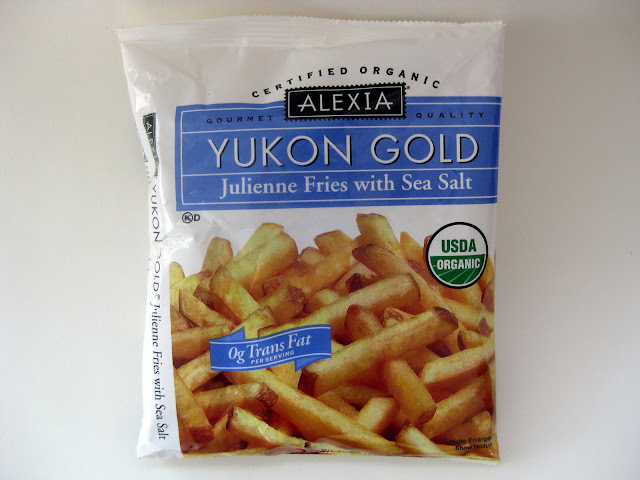 I'm going to start 2011 with a new favorite chip! Congrats Kettle, please keep them coming! While I'm not the biggest Christmas fan, I can appreciate all of the treats associated with the holiday. Candy Canes, check. Cookies, check. Soy Nog, check. The common thread is the overabundance of peppermint. 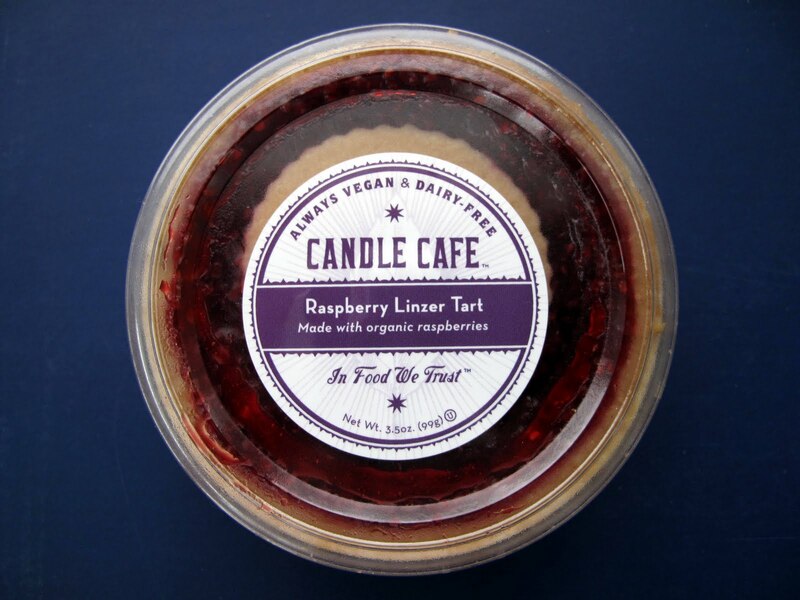 If you love peppermint then you must be doing cartwheels right now. 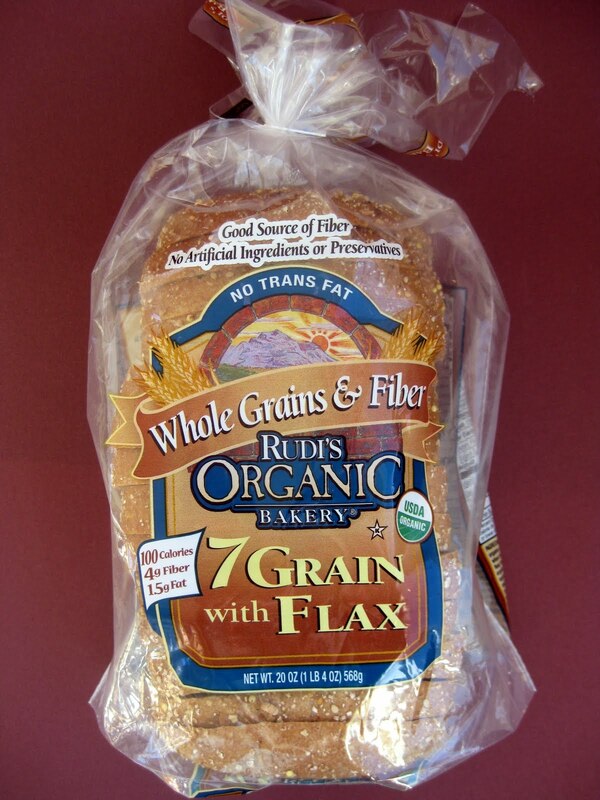 My advice is to chow down out on this stuff while it's around! The legend...Candy Cane Joe-Joe's. I've heard about these cookies forever. Now that Omaha has a Trader Joe's, I can finally try them out and see if they warrant all of the hype. The verdict? 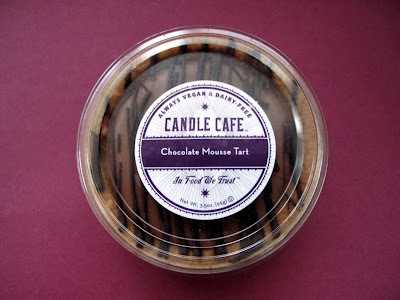 They are one of the most amazing cookies I've ever had! It's a basic sandwich cookie but the little candy cane pieces in the frosting make them divine. Seek them out. 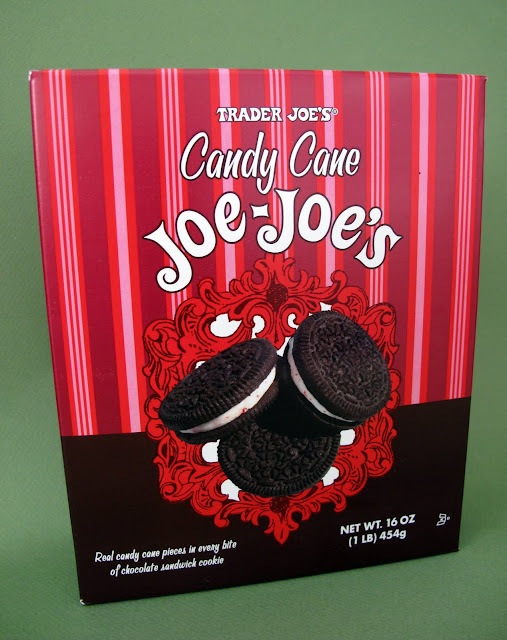 These Dark Chocolate covered cookies from Late July has some similarities to the Candy Cane Joe-Joe's but ultimately I didn't enjoy them as much. 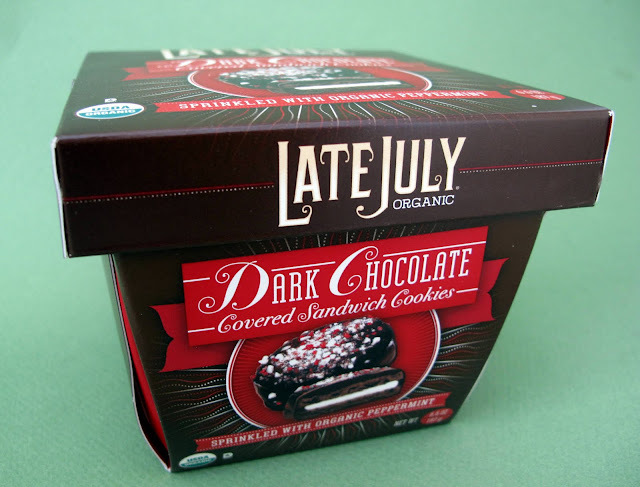 They are dipped in chocolate and have peppermint sprinkled on the outside with a hint of a salt to go with the sweet. The cookies are fancily individually wrapped so you feel guilty when you eat 6 at a time. I see this as more of a gourmet cookie for all of you foodies out there. 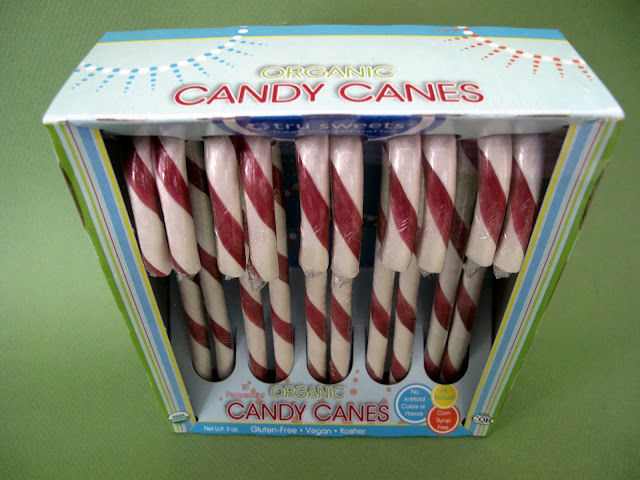 Good ol' candy canes from Tru Sweets! I think everyone can agree Christmas isn't Christmas without a candy cane. These are pretty much the most awesome candy canes ever because they are Vegan and organic. I'd love it if they introduced other flavors like cherry or bubble gum, just because I'm weird like that. 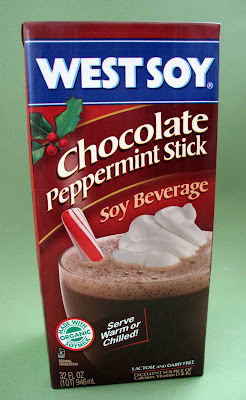 This Chocolate Peppermint Stick Soy Beverage from Westsoy is the jam! 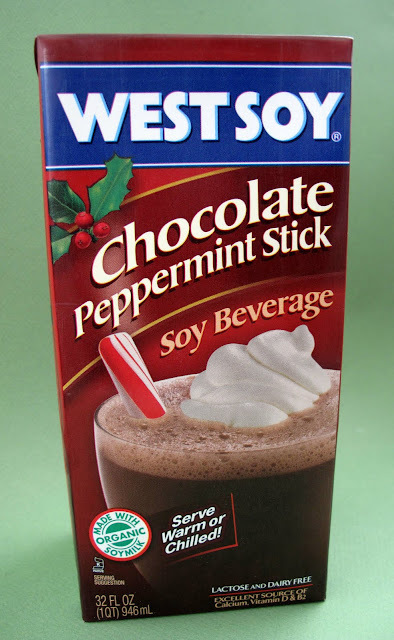 I'm not sure if I'm under the spell of peppermint right now, but I enjoy it almost as much if not more, than the Silk Nog I reviewed last month. I even drank it a room temperature and it blew my mind. The chocolate/peppermint combo is a match made in heaven. 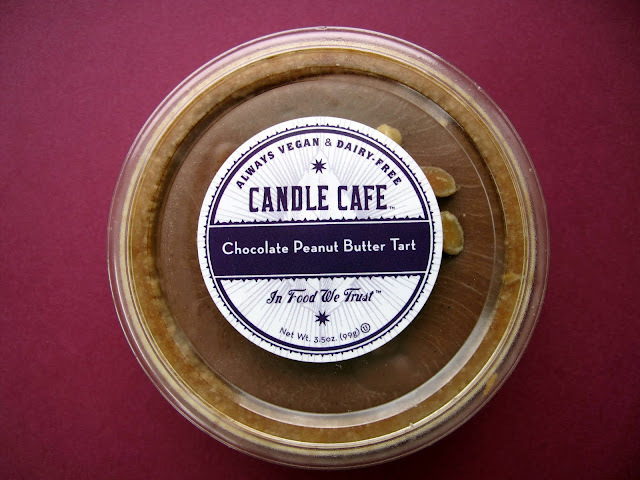 I'm definitely going back to the store to stock up on this stuff. Ain't no thing but a bag of frozen fries. Hello fellow Lazy Vegans! I'm moving our Facebook group to a new Facebook page http://www.facebook.com/LaziestVegans. I hope you come "like" us. Thanks for the support! This is a new segment I'm calling The Laziest Vegans Top Ten. 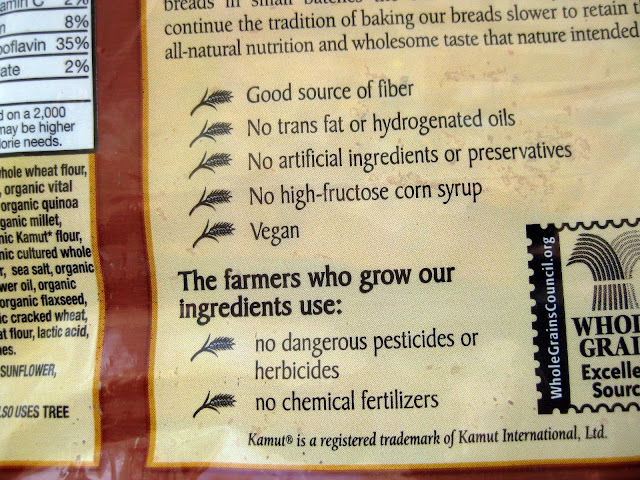 This is where I get to ask a prominent Vegan what their favorite pre-packaged convenience foods are. 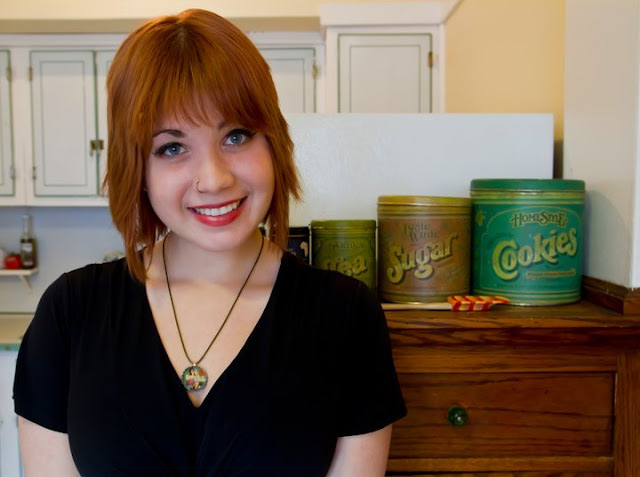 Today's guest is Kelly Peloza, author of The Vegan Cookie Connoisseur. This first time author is originally from Chicago, IL and is currently in Milwaukee, WI as a Photography Major at MIAD. Kelly can also be found at her blog Seitan Beats Your Meat. So let's get started! I love any kind of black bean burger, and Boca vegan burgers are pretty good. I'll probably get an F on being a real college student but I don't really ever have frozen dinners. And that concludes The Laziest Vegans Top Ten. Thanks Kelly! Happy December everyone! Can you believe how quickly this year has gone by? Pretty insane. I'm going to take this month to remember and reflect on the crazy year that was 2010. So much has happened in the last 11 months that it's hard to wrap my head around it. Anyways, lets talk about this cool Advent Calendar I got! 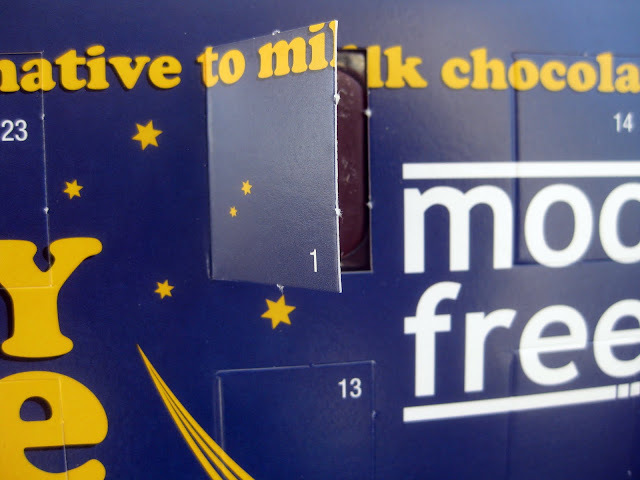 When I was growing up we always had an Advent Calendar for Christmas. Advent Calendars have a tiny door for each day in December leading up to Christmas. When you open one of the days you get a chocolate. My brother and I shared, one of us would get odd days and the other would get even days. I thought it was one of the neatest parts of the holiday (well except for the gifts). 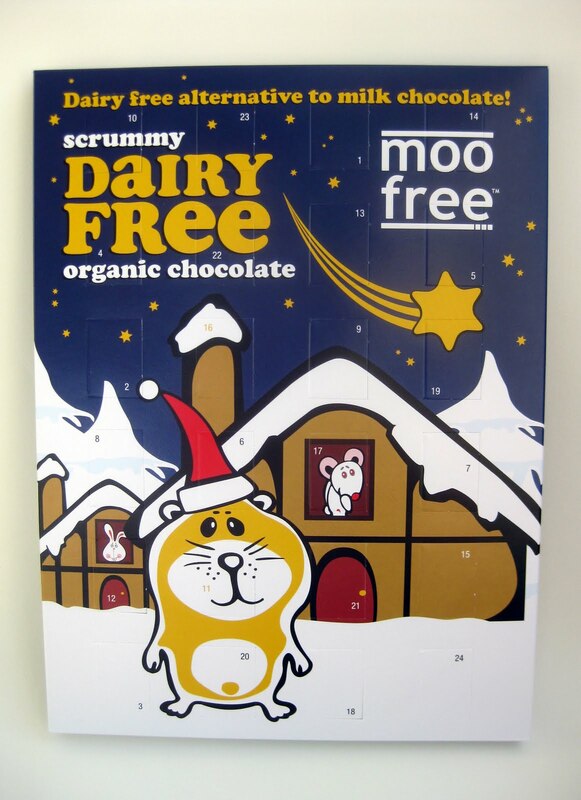 At some point last month I decided I would seek out a Vegan Advent Calendar to help me not feel so grinchy about Christmas (don't get me started). Luckily Vegan Essentials got these Moo Free Advent Calendars in stock a week before Thanksgiving. 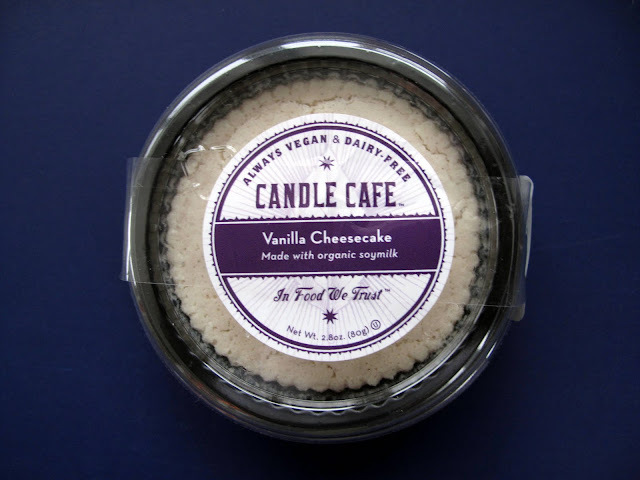 I think they are really cute and perfect for a Vegan or dairy intolerant person. 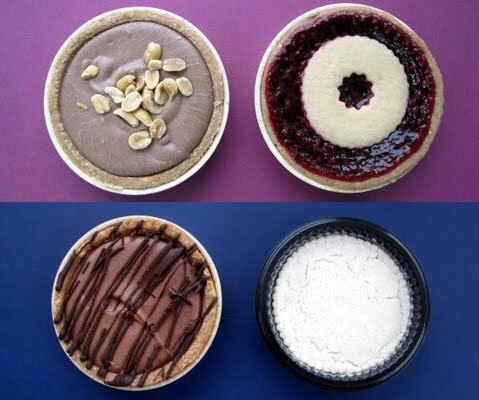 Even your parents will appreciate these. 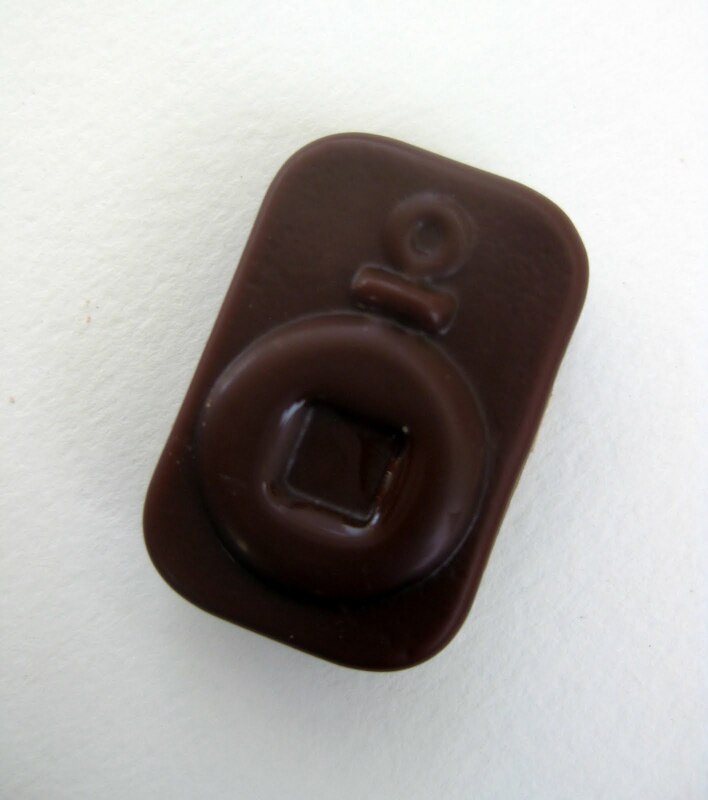 Today's chocolate appears to be an ornament, and it tastes silky smooth! Only 23 more chocolates to go!